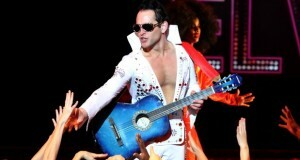 Private Presley – “The King” on his feet, in a groundbreaking new production. “Sister Act” – a divine musical comedy to hit Joburg stage next month. Watch the new trailers for “Suicide Squad”, “Fantastic Beasts and Where to Find Them”, and “Captain America: Civil War”. “Blood Father” – is this action-drama Mel Gibson’s way back to big screen glory? “Shepherds and Butchers” asks the viewer to see ‘monsters’ as human. But can we? [LISTEN] Yolisa Qunta on the book “Writing What We Like”. “Spy” – Melissa McCarthy is a foul-mouthed, fun, and fearless heroine.